Bleed 2 initially released last year for PC, Playstation 4, and Xbox One, but was ported to the Switch this month. It’s a relentless action game full of air dashes, bullet deflecting, and tons of bosses that feels freshly sprung from the mind of an eight-year-old on a sugar high. 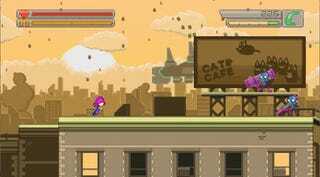 Developed by Ian Campbell, Bleed 2 follows a pink-haired badass named Wryn as she fights off an alien invasion. 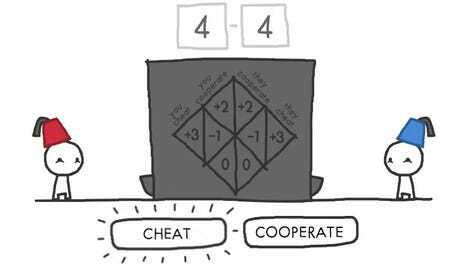 Players have access to a few abilities that help even the odds against all the baddies. A fast air dash sends Wryn zipping around the stage and helps her slip through enemy attacks. The ability to deflect any pink projectile with Wryn’s sword allows players to bounce bullets back where they came from, but can also send objects as large as trucks flying away. The ability to temporarily slow down time means that players can time their dodges or deflections for the perfect opportunity. At any moment in Bleed 2, players will be dashing, shooting, deflecting, time shifting, or all of the above. It all blends together in a wild action puree that is overwhelming at first until you find a rhythm and turn into an action star. Whenever you think you’ve finished a stage in Bleed 2, things only get more intense. Slicing down a helicopter boss leads to a rush through smaller minions that ends with a fight against a caped villain. Wall-jumping through a tilting spaceship level culminates with a battle with shapeshifting ghosts. Bleed 2 has no goddamn chill and feels a little bit like making up stories with your friends in the schoolyard. Oh, you beat up my teleporting samurai? Too bad, because I have an anti-gravity robot. The sheer absurdity is a major part of the fun. If the campaign isn’t enough, Bleed 2 has a few other modes that provide plenty more action. An endless mode created randomly generated gauntlets of level design and enemy placement for players to rush through, while a challenge mode allows players to mix and match up to three different bosses to test their mettle. An arcade mode limits how many lives you have to complete the game. These additional challenges add longevity to the game, as does the opportunity to chase better and better rankings for each level. Sometimes, all you need is a simple game done really, really well. 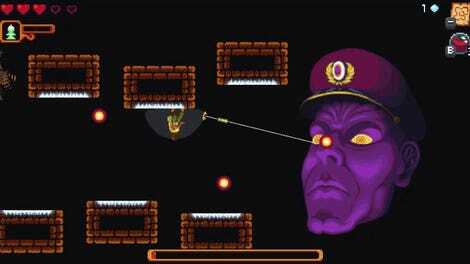 Bleed 2 takes action side-scrolling and kicks it into a silly overdrive. The Switch version is essential for anyone looking to expand their game library with a short blast of excitement.